At Heritage Sylvania, the history you read about in textbooks becomes a vibrant learning experience full of activities for students and teachers to see and do. Our programs cover a wide variety of Ohio academic standards including inter-disciplinary curriculum. Subjects including social studies, language arts, math and science are all incorporated into your visit. Students get the perfect mix of learning, adventure and fun all in a scenic and safe environment where our dedicated staff and volunteers lead the way. Heritage Sylvania offers programs and group tours for scout troops, senior centers and private organizations, as well as elementary schools at the Historical Village, Cooke/Kuhlman home and the Lathrop House. 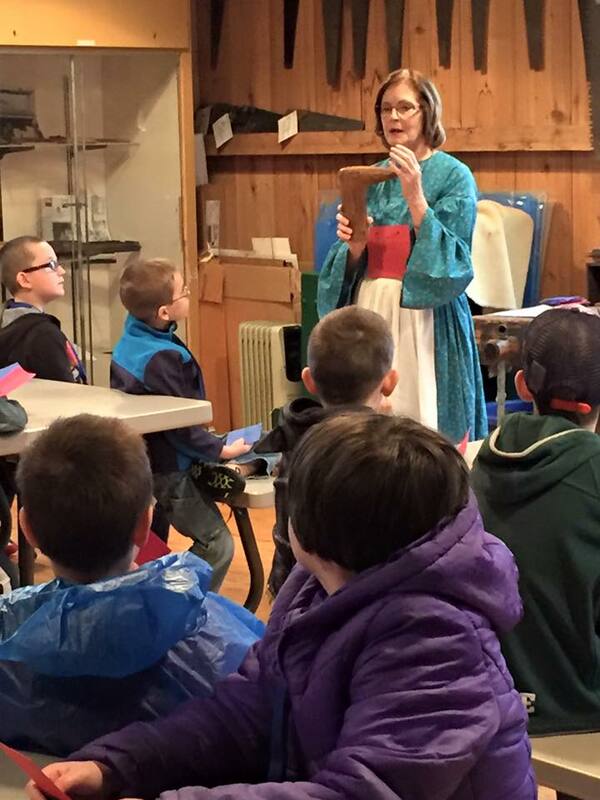 Educational programs allow school children a unique glimpse into the area’s history and include hands-on elements. Costumed staff lead each station as students rotate through their day. We also have spaces for you to eat sack lunches that you bring. Every program is customized for the grade level, teacher curriculum and school-specific day (start to dismissal). All programs integrate visits to our historic buildings and are designed to synchronize with strands from the Ohio proficiency tests, Achievement Assessments and State of Ohio grade-specific standards. Upon arrival each teacher will receive a packet with their schedule for the day. There also will be other sheets suggesting post-visit activities. Programs are offered Monday through Friday between the hours of 9:00 AM and 2:30 PM. No programs are offered in December and January. We recommend planning at least 2 1/2 hours for a program which includes time for you to eat sack lunches that you bring. NOTE: The Lathrop House is closed November until April. We can accommodate groups of up to 88 at one time (due to the size of the historic buildings). If you have a larger group, please contact us and we can work on other options with you. We request that you have at least 10 students (not including adults) to book a program. Reservations are required for all programs. Please fill out a Group Reservation Request, call 419-517-5533 or send us an email through the Contact page.